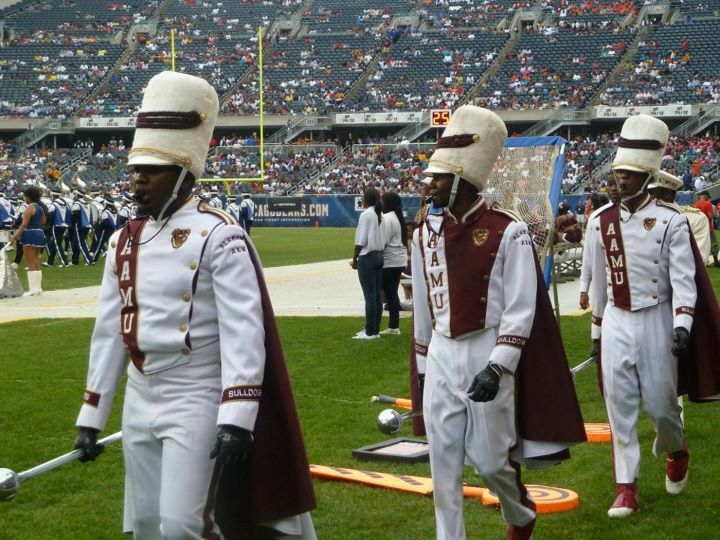 Hey Luvs I started September with a bang at the 14th Annual Football Classic at Soldier Field. COFFEA Magazine and I got all access passes to the jump off of college football. The day started off with a mini battle of the bands showdown by high school students. The sounds of Power 92 filled the lot with tons of tailgate parties full of great smelling BBQ. Due to the weather the game was delayed but that didn’t stop the greeks, students, family, and friends from supporting the event. I really enjoyed the battle of the bands competition. I’ve never seen one besides the movie Drumline. It was very entertaining and I have a deeper respect for band members. R&B singer & actor Tyrese Gibson made a special appearance at halftime and the girls went crazy.The football was great Hampton took the win 21-20. I am looking forward to this fall season full of great sport events. Next me and the COFFEA crew is at the Circle City Classic in Indianapolis. Visit http://circlecityclassic.com/ for more information on the Circle City Classic. Well Luvs it’s been a blast I’ll holla. Previous PostLady “E” Teams Up With COFFEA Magazine!! !